And what a pretty picture they make. A simple, yet beautiful picture. It added some pleasantness to my day. Precious photo, worthy of a frame!! Aw, that is so sweet. At first I thought the bird had put the acorns in the nest, or maybe a squirrel...but I guess you were the little birdie/squirrel who did it. I love it. So simple and sweet...God's creation...Thank you for the smile. I love photos like that! 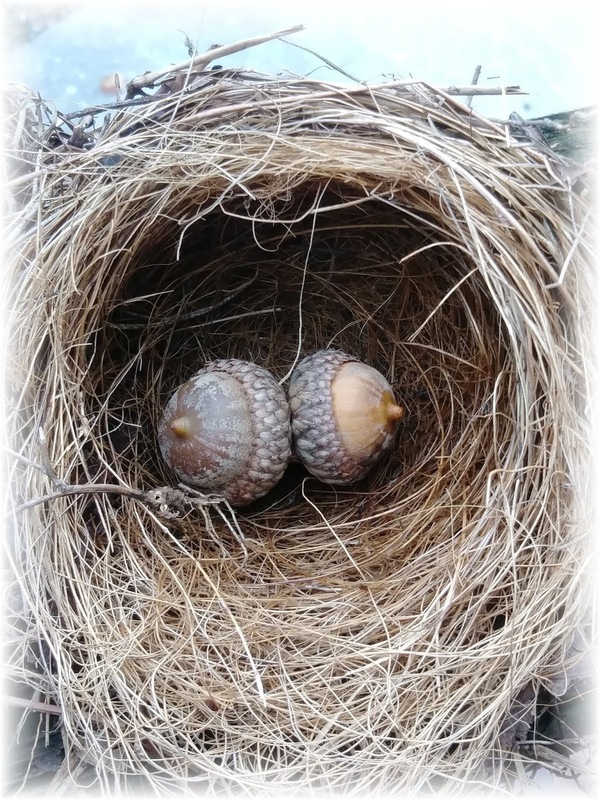 A nest and two acorns. I also love your new header. Have a blessed day dear Debbie. So sweet! It is so special to find the simple things like that! In this complicated world, simple is so refreshing! Have a blessed day.